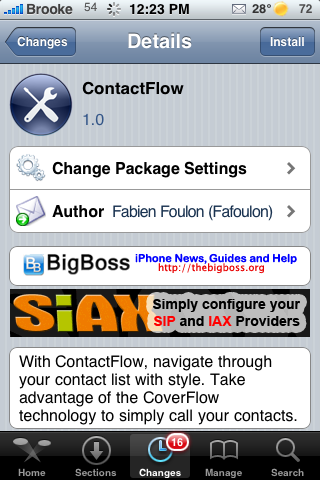 ContactFlow is not a new application…we had ContactFlow back in the day (firmware 1.1.4 and below). I’m not sure if this is the same app by the same developer with a slightly new interface or if it is a completely different application! Either way, we have had a similar application in the past (with the exact same title!). 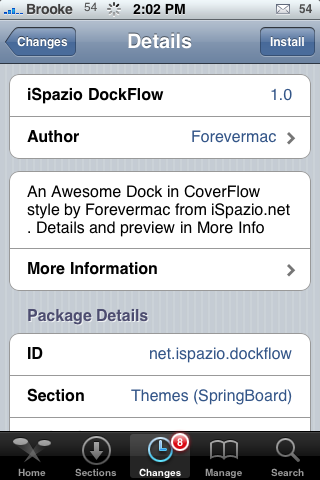 iSpazio DockFlow is a mod that I noticed last night. 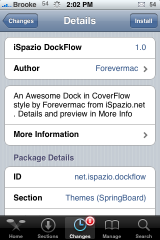 It changes your dock icons giving them a cover flow look. It actually looks pretty cool however, there are a few restrictions with it. You need to have a five icon dock, the icons have to be specific icons in a specific order (Safari, SMS, Phone, Mail and iPod) and you cannot use it with other mods such as Stack. But, if you are willing to deal with these restrictions is does look pretty cool. 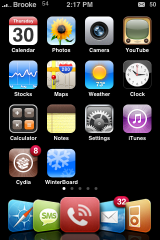 Once installed, you will need to activate it via WinterBoard.